Prevue Pet Products Wrought Iron Flight Cage with Stand F040 Black Bird Cage makes the perfect home for multiple parakeets, canaries or finches. 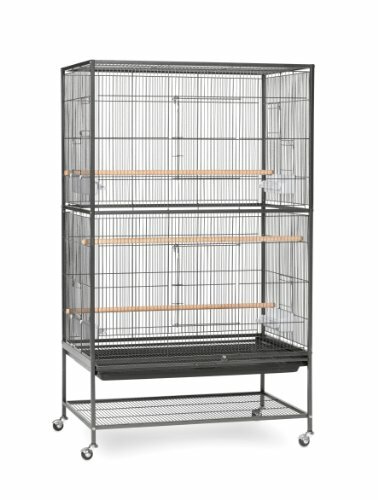 Featuring two large front doors and a bottom shelf for additional storage space, this flight cage stands on rolling casters and is easily moved from room to room. 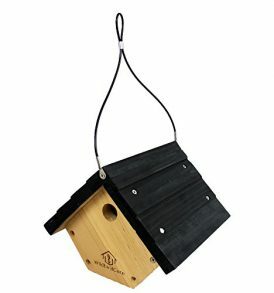 Four plastic double cups and three wood perches are included in this economical extra large cage. Our wrought iron Flight Cage with Stand is 31-inch long, 20-1/2-inch wide and 53-inch high with 1/2-inch wire spacing, available in Black Wrought Iron only.